When a business year comes to a close it's time to think about what you need to wrap up to start the next year fresh. Make sure to carve out some time out of your busy schedule to get organized and ready for what lies ahead in your company's future. We've compiled some end of the year business prep suggestions for you, and additionally received some key advice from Rob Shauger at Confidata, a document shredding company. Shredding documents should be a significant part of your end of the year prep! If your system of tracking income and expenses has been casual throughout the year, take some time to put everything together in the same format and the same system. If you've been keeping receipts in a plastic bag or shoved in a drawer, take some time to transfer that information into an electronic, reliable format. Now is the time to see that all bookkeeping records are up to date and accurate. Now is the time to review how your business did over the past year and what your goals are for the coming year. How did the business do financially, compared to past years? What successes did you have over the year that you'd like to continue focusing on, and what do you need to do differently going forward? Book early! Tax season starts on January 1st and runs through April 15th - accountants are in their busiest season during this time frame. Set up an appointment as early as possible to make certain you'll have smooth sailing come tax prep time. Have questions ready to ask your accountant on end of the year business prep. They'll be able to advise you on things like issuing 1099 forms, deferring payments, and where you can claim deductions. Identity theft is everywhere. Shredding documents is an important part of any business, and the end of the year is the perfect time to make sure you're caught up on destroying paperwork that needs to be and protecting yourself and your business. Shauger says, "You can never be too careful as to how to dispose of your personal information. We shred and recycle just about anything - junk mail, personal information, tax returns, checks, files, paper, manila folders, and much more!" Of course, small, personal shredders exist, but these can overheat quickly, slowing down the entire process. If you go through Confidata, you don't have to deal with the tedious effort of shredding documents yourself - and, Confidata's machines can handle staples, rubber bands, paper clips, etc. 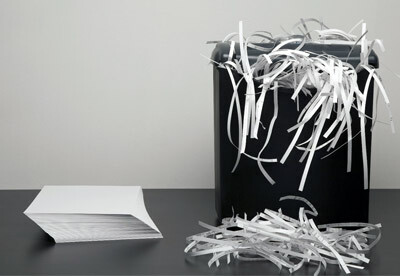 It's not just important to shred business documents, but personal ones too. According to Shauger, anything with personal information on it should be destroyed instead of just being recycled as is, or even thrown out in trash bags. Shauger suggests having a designated date on the calendar for destroying records - otherwise, they build up and become a larger project than need be. 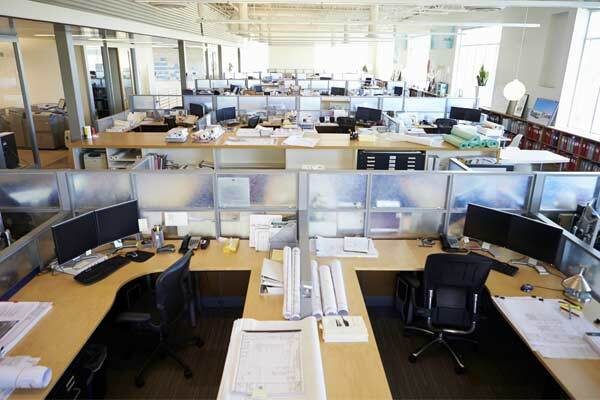 When the business year comes to a close is usually an ideal time to take care of this task. You'll want to check with your accountant - and attorney - on what documents you need to be shredding, and what you need to keep. That said, there are a few guidelines. Again, you will want to touch base with your accountant on what you should be keeping and what can be shredded, as this will differ from business to business. If you're unsure about whether or not to keep something, keep it until you speak with the accountant. For the records you need to hold onto, in most cases you should be able to scan them into your computer and store them electronically, while getting rid of the hard copies, which means easier organization for you! In short, organize your documents from throughout the year, consult your account, and take care of all shredding both at the business and at home! It can be easy to get caught up in the day-to-day operations of the business, but taking the time to get documents organized and records in order is vitally important for any organization, and you'll be glad you took the time to stay on track.